Losing your job unexpectedly can be stressful and discouraging. The bills keep coming and debt collectors begin calling and there is not enough money coming in for everything that needs paid. This is a reality for most everyone at some point in their life and sadly it has become an issue for a lot more people since the economy crash as of late. Even if you have a secure job right now it is important to know what to do in case you are ever faced with unemployment. There is a way to handle debt while you are unemployed. It takes planning and dedication and quite frankly a fighter’s heart but it can be done. It goes without saying, that the only to fix rising debt is to increase your income. Many people are finding out that they cannot find a job to replace the income that they lost. This poor economy may make it difficult find a job in your field. Don’t lose hope and don’t panic. Any job is better than no job: You may have been an executive for a Fortune 500 company but now the only thing that you can get is the school custodian. 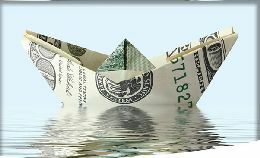 Don’t hold out and continue to sink further into debt. Take the job at the place that is willing to hire you today. Experts say that it is always easier to find a job while you are working and the networking could help you land the job that you want and need. Part-time: Handling debt can be as simple as accepting that two or even more part time positions. Many companies are staffing with multiple part time positions and they are usually willing to work with your schedule. That can help you manage multiple jobs. No Spare time: You will have to use your free time to look for the job that you need and not settle in the one that you have. There are a number of resources that can help you find a job such as job search sites, forums and boards and it is a good idea to keep copies of your resume available to hand out. Many people will accept resumes and keep them on file, they will pull from these files when they are looking to hire. There are many people who acquired good jobs that were never posted. It is important to pay secured debt first or you could lose your home or car. Secured debt gives the creditor the right to take or repossess items for nonpayment or defaulted agreements. It is also a balancing game to be certain that there is heat, water and food in order to survive. These costs should be monitored and kept to a minimum. Forgo extra expenses such as cable and dining out until you are back to working full time. Reducing excessive expenses are critical in handling debt. It is best to call your creditors and let them know what is going on before they have to track you down. They can offer you some advice or perhaps make arrangements to help you stay current and prevent damaging your credit. It is important that you only accept demands that you can adhere to at the risk of delinquency and then ruining your chances for any further assistance from them. Be honest with them and firm and let them know that you appreciate that they are helping you. Contact your local unemployment office and apply for any benefits that you qualify for. The faster you apply the quicker you will receive benefits. They can help you with the process and they can also assist you with programs in your city. There may be workforce training or you could qualify for food stamps or reduced utility bills. Create a budget that includes only the necessary expenses. It is important to include any costs that may arise from your job search such as haircuts and nice interview clothes. Avoid using credit cards to handle your debt because this will lead to more costs in interest and more debt. It is stressful to find yourself suddenly unemployed. There is a huge emotional toll that it takes when you lose the security of your income and you are forced to cancel your cable or perhaps even your vacation. Many people search for weeks, months and years to find a job that is comparable to the one that they lost. Devise a plan to relax and find enjoyment while you are unemployed. There are a number of free classes offered at community centers and libraries that can help you take or mind off of handling your debt.Always keep your goals in mind but do not let the strain of unemployment keep you from finding happiness.